Japan prides itself on each prefecture having its own distinct specialties. Sometimes it’s a different take on a similar dish, sometimes it’s something completely different, and if you ever go on a trip to a different prefecture, you’d better bring back some unique edible souvenirs for your friends and coworkers. The regional specialties are a thing of beauty to any food lover. 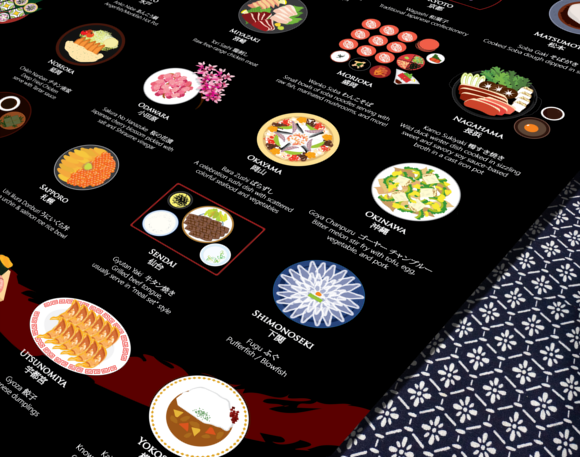 And now food blogger and graphic designer Fanny Chu has turned them into art with the Japan Delicacy Poster, showing off unique dishes from 42 Japanese regions. We’ve seen Fanny Chu’s work before, when she created the popular Ramen Poster that showed off different types of ramen from all over Japan. 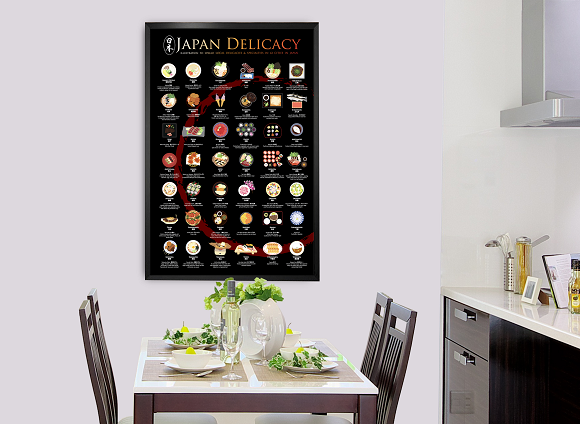 The Japan Delicacy Poster gives us 42 different dishes, creating an even more eye-catching variety of delicious food with colors that pop right off the paper. Each item has the region, its name in kanji, its name in English, and a description. As someone who lived in Okinawa, I also highly recommend the goya chanpuru. At 91.44 cms tall and 60.96 cms wide, the poster is like hanging a giant menu of all of Japan on your wall. Perfect for hanging in the kitchen, guaranteed to make you hungry whenever you look at it. If you’re interested in getting a Japan Delicacy Poster for yourself, or if you want to learn more about its creation, then check out Fanny Chu’s Kickstarter for the project. A pledge of $25 gets you a digital version of the poster to print yourself, and a pledge of $37 gets one delivered right to your home. Or, if you’re looking for a cheaper way to plaster your life with delicious Japanese food pictures, then you can check out Fanny’s ramen stickers too. There’s no better test of a true friend than slapping a ramen sticker on their phone or computer and seeing how they react. All these foods are available within 10 minutes walking distance of each other in downtown Osaka.